For Sale in Milton Keynes for Asking Price £245,000. Wilson Peacock Estate Agents are presenting for sale this three bedroom property situated in the popular location of Neath Hill. 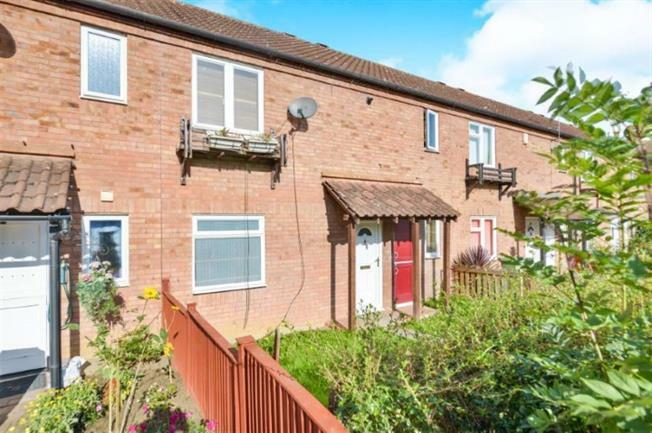 The property benefits from kitchen, downstairs cloakroom, lounge/diner, three double bedrooms, double glazing (where specified) and a garage. The property briefly comprises entrance hall, re-fitted downstairs cloakroom, lounge/diner and re-fitted kitchen. The first floor accommodation comprises three double bedrooms and family bathroom. Outside there are gardens to both front and rear and a garage. Double panel radiator, laminate flooring, stairs rising to first floor accommodation, understairs storage area, door leading to lounge, door leading to kitchen. Fitted in a two piece suite to comprise low level WC, wall mounted wash hand basin, tiled to splash back areas, double glazed frosted window to front elevation, plumbing for washing machine, tiled flooring. Fitted in a range of units with matching trim to comprise single drainer one and a half bowl sink unit, tiled to splash back areas, electric oven and hob with canopy extractor over, space for dishwasher, space for fridge/freezer, double glazed window to rear elevation, coving to ceiling. TV and telephone points, double glazed window to front elevation, double panel radiator, wooden flooring, broadband connection, coving to ceiling. Two double glazed door leading to rear garden, coving to ceiling, double panel radiator. Double glazed window to rear elevation, access to loft space, spotlights, laminate flooring, TV point. Double glazed window to front elevation, laminate flooring, TV and telephone points, coving to ceiling. Double glazed window to rear elevation, laminate flooring, coving to ceiling, telephone point. Fitted in a three piece suite to comprise low level WC, built in sink unit with mixer tap over and cupboard under, panelled bath, tiled to splash back areas, double glazed frosted window to front elevation, tiled flooring, cupboard housing hot water tank. Mainly laid to lawn with shrub borders and mature plants, pathway leading to gated rear access, patio area, storage shed, enclosed by wooden fencing, outside tap. Mainly laid to lawn, enclosed by wooden fencing, enclosed by hedge row, outside tap.